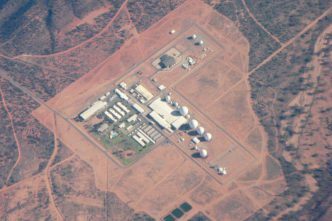 Now in its sixth decade of operation, the Pine Gap facility, outside Alice Springs, is a remarkable element of Australia’s alliance with the United States. The totem phrase Canberra intones about Pine Gap is that Australia has ‘full knowledge and concurrence’ about what the US does with the base. The ‘we know everything’ statement is an implicit acknowledgement that in the first decade of the facility’s operation, Australia didn’t have full access and understanding and thus couldn’t give fully informed agreement. Australia responded by injecting its own people into every aspect of what Pine Gap does. The chant today can have an extra acknowledgement: full Australian involvement. The debate has slowly expanded from the question of Australian sovereignty to that of Australian responsibility. 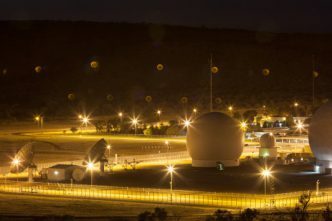 Even as the technology keeps evolving, what’s really shifted is how significant Pine Gap has become for Australia’s defence and security purposes, as well as America’s. 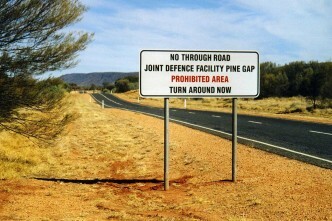 The former Labor defence minister and Oz ambassador to Washington, Kim Beazley, calls this the Pine Gap paradox. The deep and unprecedented involvement in what the base does means that ‘Pine Gap became critical for us. It’s now part of our intelligence and defence order of battle’. This transformation reflects both the achievements of Australian governments in their efforts over decades to increase the Australian presence at the base on the one hand, and on the other the changing military and intelligence nature of the relationship between Australia and [the] United States. Indeed, the pervasive Australian participation in the activities of Pine Gap now epitomises the networked, but fundamentally asymmetric character of the ANZUS alliance today. The release of the 1996 and 1997 cabinet papers by the National Archives of Australia documents a key moment in that networked transformation. 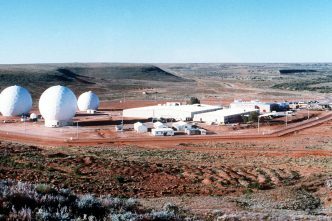 In September 1997, the Howard government’s National Security Committee considered a submission by the defence minister, Ian McLachlan, on the closure of the Nurrungar joint facility, in South Australia, operated by the US Air Force, using satellites to detect missile launches and nuclear explosions. 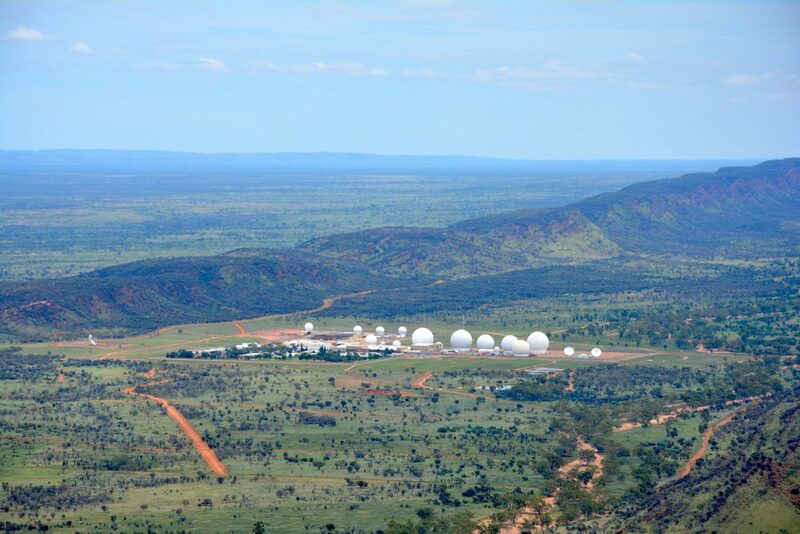 Nurrungar was due to close in a couple of years, to be replaced by a relay ground station (RGS) at Pine Gap. The cabinet committee agreed to the relay station, but the focus was shifting beyond knowledge to involvement and integration. 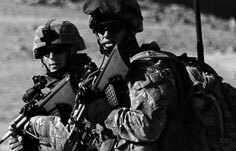 The aim was to use the capabilities of the US satellite system ‘to address ADF [Australian Defence Force] interests’ to ‘support ADF operations’. Whether arrangements for Australian involvement in the operation and management of the facility would give the government ‘effective full knowledge and concurrence’ of its functions. (d) Involvement of Australian personnel in the team monitoring the operation of the RGS at Pine Gap. The defence minister said Canberra already had high-level assurances from the US that these conditions would be accepted. To get full value and ensure full knowledge, Australians would have to be posted to the US to work at the central mission control station. Getting access to the raw data in real time could serve ‘Australia’s direct security interests’. The proposals are consistent with Government policy supporting an active and relevant alliance relationship. The cooperation envisaged is a practical contribution to a vital US interest and signifies our preparedness to cooperate on matters of mutual benefit. There are potential sensitivities or criticisms associated with continued cooperation with the US in this area. Given our long track record of successful cooperation, and the wide public support for the alliance, these are assessed as limited and manageable. If you look at the submission now made public, enjoy one of the minor diversions of wading through old cabinet submissions—jumping over (or guessing at) the bits of the document that are blacked out before release. The Pine Gap paper is ‘open with exception’. The Archives determined that the record contained information on ‘Defence plans, operations or capabilities of continuing sensitivity’. And so, getting through the Pine Gap submission involves hurdling 24 blacked-out sentences or paragraphs. Pine Gap and the doctrine of full knowledge is a long race with lots of hurdles. Graeme Dobell is ASPI’s journalist fellow. Image courtesy of Felicity Ruby via the Nautilus Institute.